After making reference to a farting gnome in my drawing yesterday, a few of my fart-obsessed Facebook friends requested that I actually draw one. 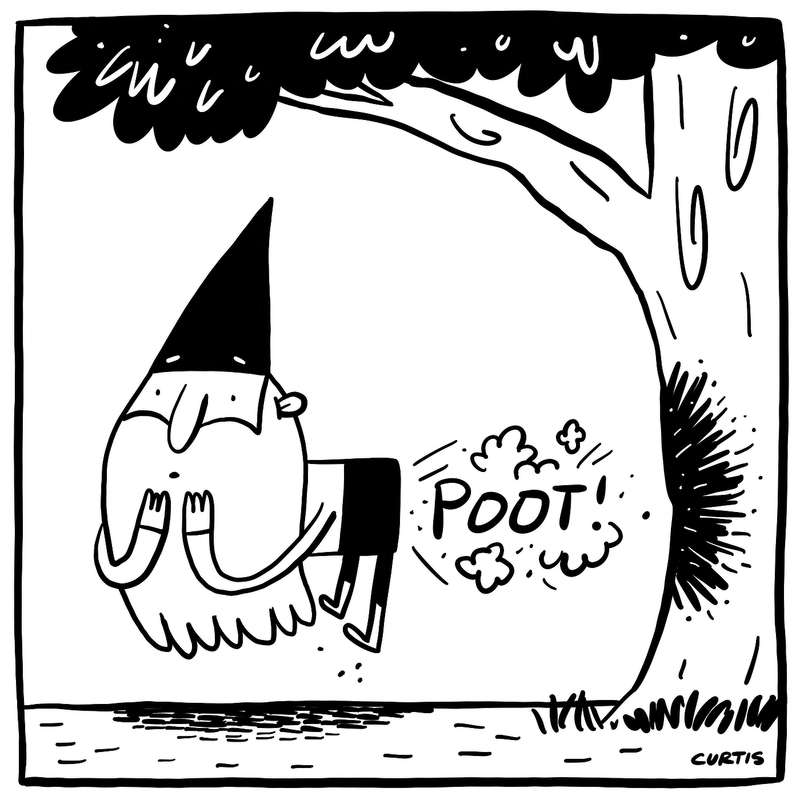 It's not every day that I'm asked to draw a flatulent gnome, so I couldn't resist. The ridiculously talented Mike Lynch suggested that I use the "Poot!" sound effect. I hope it's all that you imagined it would be, Mike. Looks like that fart was a real bark burner. Keep that nose warm, too!